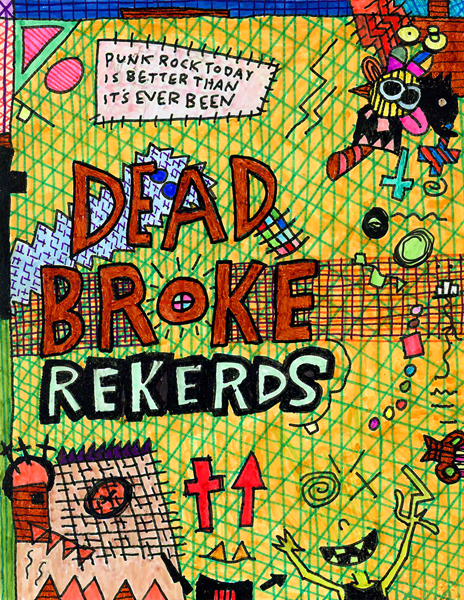 “Punk Rock Today is Better Than It’s Ever Been.” 5/28/14. Pen. 4½x5¼”. 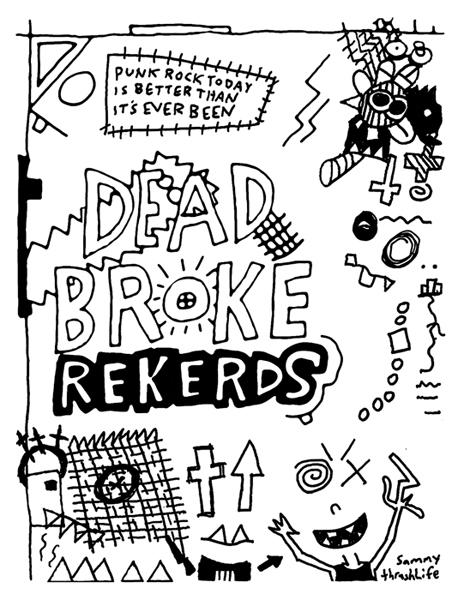 Sticker design for Dead Broke Rekerds, drawn in the van en route from Jacksonville, FL to Atlanta, GA. Read more about the piece in my blog entry for June 17, 2014. Though the stickers are black/white, I couldn’t resist coloring the physical drawing a few days later.